Over 1 Million Pounds lost! "Best place to lose weight, lead a healthy life, and feel confident." "Thumbs up! The staff is very friendly and understanding. Highly recommend." "Many years of experience with the best customer service in the industry." "Greatest weight-loss option with the best people and best service." "It works. 14 pounds in two weeks, I am pleased. Great staff, great place, thank you." "This is my go-to location and I love it so much there. I lost 35 pounds." "Great and friendly staff. Extremely knowledgeable doctor." "Love these guys. I lost 14 pounds in one month and kept it off." "The Dr. G's program works and I recommend it to anyone that needs to lose weight." 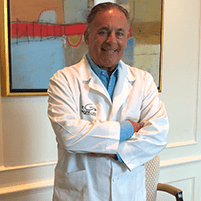 The expert medical staff at Dr. G’s Weight Loss & Wellness -- located throughout Florida, New Jersey, New York, Pennsylvania, and Delaware -- know that everyone has their own unique needs when it comes a successful weight loss program, so they treat each patient as an individual, customizing the program to meet those needs. Dr. G’s weight loss experts take the time to speak with each patient to understand their unique habits and desires. A comprehensive medical panel assesses the patient’s unique background, family history, and other factors to determine which approach will prove most effective.